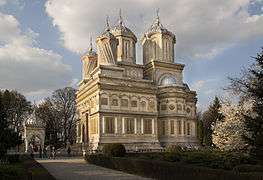 The Romanian Orthodox Church (Romanian: Biserica Ortodoxă Română) is an autocephalous Orthodox Church in full communion with other Eastern Orthodox Christian Churches and ranked seventh in order of precedence. 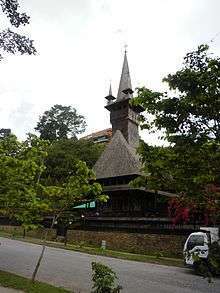 Since 1925, the Church's Primate bears the title of Patriarch. 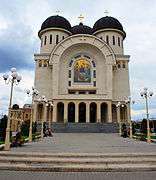 Its jurisdiction covers the territory of Romania, with additional dioceses for Romanians living in nearby Moldova, Serbia and Hungary, as well as for diaspora communities in Central and Western Europe, North America and Oceania. 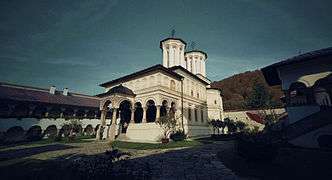 Currently it is the only self-governing Church within Orthodoxy to have a Romance language for its principal and native tongue. The majority of Romania's population (16,307,004, or 86.5% of those for whom data were available, according to the 2011 census data), as well as some 720,000 Moldovans, belong to the Romanian Orthodox Church. 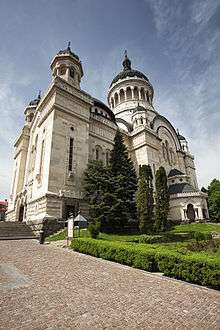 The Romanian Orthodox Church is the second-largest in size behind the Russian Orthodox Church. In 1859, the political union of the Romanian principalities of Moldavia and Wallachia resulted in the formation of the modern state of Romania. 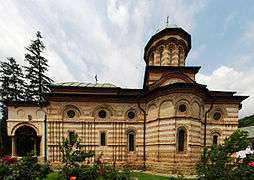 Since the territorial organization of the Orthodox churches tends to follow that of the state, in 1872, the Orthodox churches of the former principalities, the Metropolis of Ungro-Wallachia and the Metropolis of Moldavia, merged to form the Romanian Orthodox Church. 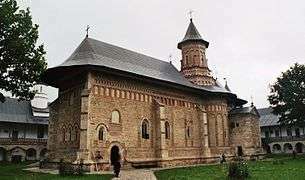 The 1866 Constitution of Romania declared the Orthodox Church to be "independent of any foreign hierarchy", and a law passed in 1872 declared the church to be "autocephalous". 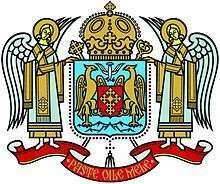 After a long period of negotiations with the Patriarchate of Constantinople, the latter finally recognized the Metropolis of Romania in 1885, which was eventually raised to the rank of Patriarchate in 1925. The Romanian Communist Party, which assumed political power at the end of 1947, initiated mass purges that resulted in a decimation of the Orthodox hierarchy. Three archbishops died suddenly after expressing opposition to government policies, and thirteen more "uncooperative" bishops and archbishops were arrested. 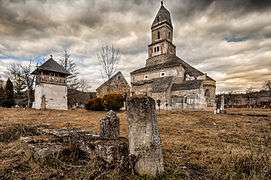 A May 1947 decree imposed a mandatory retirement age for clergy, thus providing authorities with a convenient way to pension off old-guard holdouts. The 4 August 1948 Law on Cults institutionalised state control over episcopal elections and packed the Holy Synod with Communist supporters. 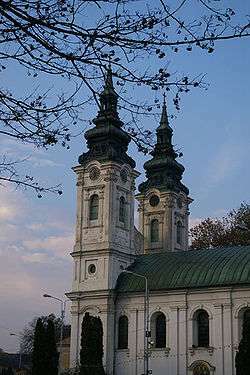 The evangelical wing of the Romanian Orthodox Church, known as the Army of the Lord, was suppressed by communist authorities in 1948. 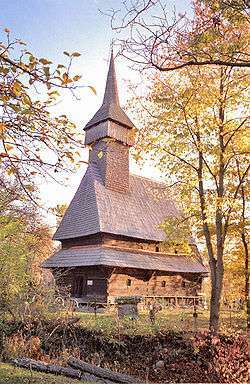 In exchange for subservience and enthusiastic support for state policies, the property rights over as many as 2,500 church buildings and other assets belonging to the (by then-outlawed) Romanian Greek-Catholic Church were transferred to the Romanian Orthodox Church; the government took charge of providing salaries for bishops and priests, as well as financial subsidies for the publication of religious books, calendars and theological journals. By weeding out the anti-communists from among the Orthodox clergy and setting up a pro-regime, secret police-infiltrated Union of Democratic Priests (1945), the party endeavoured to secure the hierarchy's cooperation. By January 1953 some 300-500 Orthodox priests were being held in concentration camps, and following Patriarch Nicodim's death in May 1948, the party succeeded in having the ostensibly docile Justinian Marina elected to succeed him. 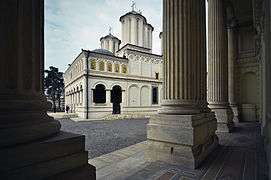 In the wake of the Romanian Revolution, the Church never admitted to having ever willingly collaborated with the regime, although several Romanian Orthodox priests have publicly admitted after 1989 that they had collaborated with and/or served as informers for the Securitate, the Romanian Communist secret police. 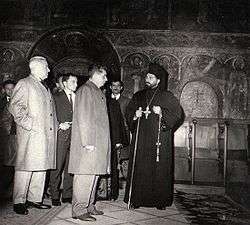 A prime example was Bishop Nicolae Corneanu, the Metropolitan of Banat, who admitted to his efforts on behalf of the Communist Party, and denounced activities of clerics in support of the Communists, including his own, as "the Church's [act of] prostitution with the Communist regime". 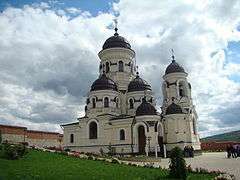 In December 2007 Russian Duma United Russia's MP Konstantin Zatulin accused the Romanian Orthodox Church of "proselytism" against the Russian Orthodox Church in Moldova (and Transnistria) with the aim of annexing these territories into Romania. ↑ Krindatch, Alexei (2011). Atlas of American Orthodox Christian Churches. Brookline, MA: Holy Cross Orthodox Press. p. 143. ISBN 978-1-935317-23-4. 1 2 3 4 5 Reichel, Walter; Eder, Thomas (2011). "Religions in Austria". Federal Press Service. Vienna: Federal Chancery, Federal Press Service. p. 25. Retrieved 2 July 2013. ↑ Presidential Commission for the Study of the Communist Dictatorship in Romania, pp. 446-447 (2006). "Raport final" (PDF) (in Romanian). Romanian Presidency. ↑ Mihail Neamțu (2007-10-17). "Despărțirea apelor: Biserica și Securitatea" (in Romanian). Revista 22. ↑ Presidential Commission for the Study of the Communist Dictatorship in Romania, p. 453 (2006). "Raport final" (PDF) (in Romanian). Romanian Presidency. ↑ Presidential Commission for the Study of the Communist Dictatorship in Romania, pp. 455-56 (2006). "Raport final" (PDF) (in Romanian). Romanian Presidency. ↑ See George Enache. "Biserica Ortodoxă Română și Securitatea" (in Romanian). Ziua. 1 2 Ramet, Pedro and Ramet, Sabrina P. Religion and Nationalism in Soviet and East European Politics, p.19-20. Duke University Press (1989), ISBN 0-8223-0891-6. 1 2 3 Lavinia Stan and Lucian Turcescu, Religion and Politics in Post-communist Romania, Oxford University Press, 2007. ISBN 0-19-530853-0. ↑ Maclear, J. F. (1995). Church and State in the Modern Age: A Documentary History. Oxford University Press. p. 485. ISBN 9780195086812. Though Romania's Uniates and The Lord's Army—the evangelical wing of Romanian Orthodoxy—were suppressed in 1948 and other religious groups experienced persecution during the late 1950s and early 1960s, Romania relaxed tensions during the 1970s and acquired a reputation in the West for successful management of religion without marked ruthlessness or violence. 1 2 3 Sabrina P. Ramet, "Church and State in Romania before and after 1989", in Carey, Henry F. Romania Since 1989: Politics, Economics, and Society, p.278. 2004, Lexington Books, ISBN 0-7391-0592-2. 1 2 Ramet 1989, p.20. ↑ Ramet 2004, p. 279. 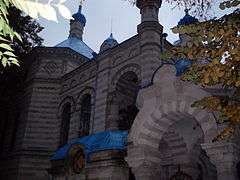 ↑ "International Religious Freedom - Embassy of the United States Bucharest, Romania". Retrieved 5 March 2015. 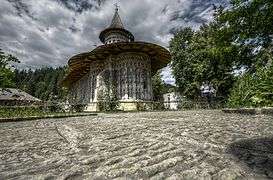 ↑ "BBC News - Romania's costly passion for building churches". BBC News. Retrieved 5 March 2015. ↑ "The Romanian Greek-Catholic Community is facing a cultural and religious wipe-out – letter to US Secretary of State Hillary Clinton". HotNewsRo. Retrieved 5 March 2015. ↑ Electronic version of Dicționarul teologilor români (Dictionary of Romanian Theologians), Univers Enciclopedic Ed., Bucharest, 1996, retrieved from http://biserica.org/WhosWho/DTR/I/IlieCleopa.html.